Property 1: Beautiful large balcony overlooking Lake Erie and Cedar Point, read my reviews!! Property 2: Family vacation, Cedar Point or Lake Erie fishing we are in the heart of it all! Property 5: Premier Lake/Beach Front! First Floor Condo-Stunning Views! Property 8: Sun, Sand and Sensational! Property 10: Cozy two bedroom with all the comforts of home just minutes away from the lake. Property 12: Minutes to Cedar Point/ 1400sf/ Sleeps 6-8/Weekday discounts! Property 14: Lake Erie Condo With Amazing Water Views!!! Property 17: A Wonderful Opportunity! Property 18: Spectacular Turn-Key Waterfront Getaway for Six! Property 22: Luxury Waterfront Condo Retreat For 6! Property 27: Book your spring weekend now before they are gone! 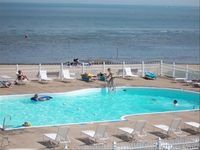 Property 28: Charming 1BR Port Clinton Condo w/Community Pool! Property 30: Waterfront Condo located on the shores of Lake Erie in Port Clinton, Ohio. Property 31: Fantastic View Waterfront Condo Right up front on the lake!! Here's What You Have Been Looking For! Property 37: Here's What You Have Been Looking For! Property 40: Sunrise, Sunburn, Sunset....Repeat! Very Clean Condo with beautiful! Pool opens Mother’s Day Weekend! Property 41: Very Clean Condo with beautiful! Pool opens Mother’s Day Weekend! 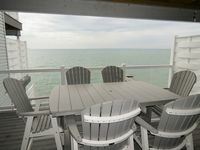 Property 43: Lakefront views of Lake Erie & Islands, Great Spring & Summer Getaway! Property 46: Waterfront Patio with View of Cedar Point and Sandusky Bay !! Lakeside Port Clinton Condo w/ Pool Access & View! Property 49: Lakeside Port Clinton Condo w/ Pool Access & View! Beautiful Sun Rise and Moonlight View! Rating Details: The property manager was very helpful. The vacation rental was spotless. I was very happy with the location. I was very satisfied with the condition of the vacation rental. Overall, I recommend this vacation rental. Reviewer Comments: The place was very clean and roomy. The patio view facing east is gorgeous especially when the sun rises or moonlight. You don't need to bring anything other than clothes and food. You may want to bring clothes hangers if you like to hang clothes. I would come back again and rent this one.